The Nordic Society for Aerosol Research (NOSA) together with the Finnish Association for Aerosol Research (FAAR) present the 2018 NOSA-FAAR Aerosol Symposium focusing on emissions, formation, growth and impact on health and climate of organic aerosols. ECOTECH’s Aurora™ 4000 Polar Nephelometer – used in remote locations around the world, including background sites in pristine environments. ACOEM Environment is a special division of the ACOEM Group, made up of two respected leaders in environmental monitoring – 01dB (noise and vibration) and ECOTECH (air, water, gas, meteorology, blast, fine particulate and dust). To coincide with ACOEM Environment joining the ACOEM AB team in Gothenburg Sweden – ACOEM Environment will be participating in the NOSA-FAAR 2018 Aerosol Symposium, taking place 26-28 March in Helsinki, Finland. ACOEM Environment’s stand at NOSA-FAAR 2018 will exhibit the ECOTECH range of Aurora™ integrating nephelometers and the ACS 1000 Aerosol Conditioning System. Cooper Environmental’s Exact® Ambient Monitors. 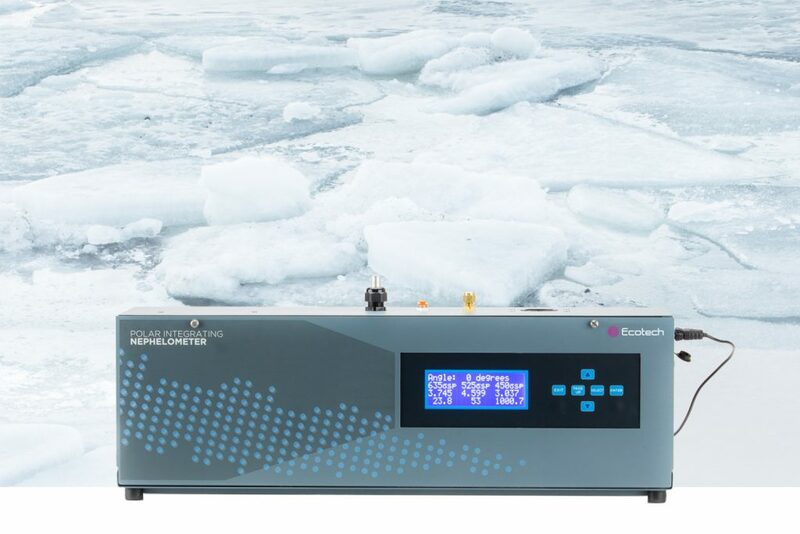 As the signature aerosol monitoring and atmospheric research instruments in ECOTECH’s extensive line of monitoring products, Aurora™ and ACS 1000 offer distinctive features and exceptional support and maintenance by ACOEM Environment and its partner network worldwide. ECOTECH’s Aurora™ integrating nephelometers measure the light scattering coefficient of ambient aerosol particles with high sensitivity and time resolution, in a wide range of monitoring and research applications related to air pollution and climate. Monitoring visibility in haze, smog, dust, sand storms and bushfires, the Aurora™ also correlates well with PM2.5 mass measurement to monitor industrial and automotive pollution caused by diesel emissions in the air. ECOTECH’s Aerosol Conditioning System (ACS) 1000 studies the hygroscopic properties of aerosol particles to provide insights into their effect on the earth’s radiative balance. It can be used with most aerosol monitoring instruments, adjusting relative humidity with minimal particle loss to measure the effect of water uptake on the properties of aerosols. ACS 1000 simultaneously controls differing relative humidity levels in two sample channels, allowing real-time measurement by parallel instruments for comparison. Multiple state environmental protection agencies in Australia. Aurora™’s portability and versatility ensure that it can be used in even the most isolated locations for long term monitoring. The entire Aurora™ range (from the entry level Aurora™ 1000 up to the top specification Aurora™ 4000 Polar) offers total remote control including calibration and is fully integrated with ECOTECH’s AirodisTM software for precision data collection, validation and reporting. ACOEM Environment works closely with scientists and researchers around the world to ensure that its Aurora™ integrating nephelometers, ACS 1000 and complementary components meet the growing demands of the global scientific community. “We’re looking forward to playing an active role at NOSA-FAAR 2018 and meeting with our environmental research colleagues to discuss the impact of aerosols,” said Felicity Sharp, Head of ECOTECH Europe. “With our expanded presence in the Nordic market, led by local expert and ACOEM’s new Nordic Business Manager, Mikael Ramström, we are excited about future opportunities to play a major role in the way aerosol research and monitoring is conducted in the region,” she added.